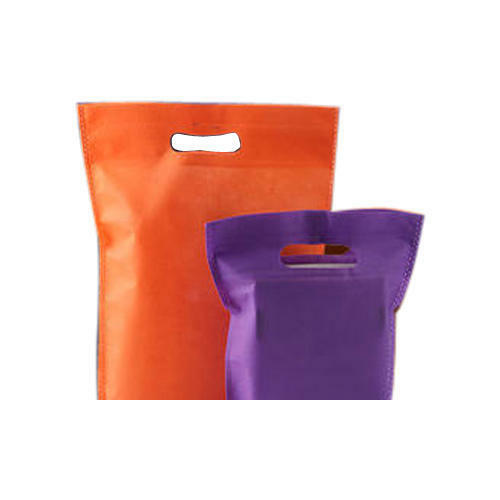 Being a customer oriented organization, we are deeply engaged in offering a wide array of PP Non Woven D Cut Carry Bag. Established as a Sole Proprietorship firm in the year 2014, we “Texspun International” are a leading Manufacturer and Exporter of a wide range of Non Woven Roll, D Cut Bag, W Cut Bag, Shopping Bag, etc. Situated in Rajkot (Gujarat, India), we have constructed a wide and well functional infrastructural unit that plays an important role in the growth of our company. We offer these products at reasonable rates and deliver these within the promised time-frame. Under the headship of “Mr. Ranjeet Jadav” (Director Business Development), we have gained a huge clientele across the nation. We export Our products in Dubai, Japan, Oman, South Africa. The company established with an objective to engrave its image into the business world with hi-profile business ethics. For the expertise, experience and transparency in the relevant field will give more benefit to the customer in cost and quality. Company has experience of three years for tremendous business and export of various products all through in many countries, ensuring its treasured clientele for the Quality of Products and the Quality of Services as well. Our aim is to build up good relationship with customer and to catch new opportunity from the market.